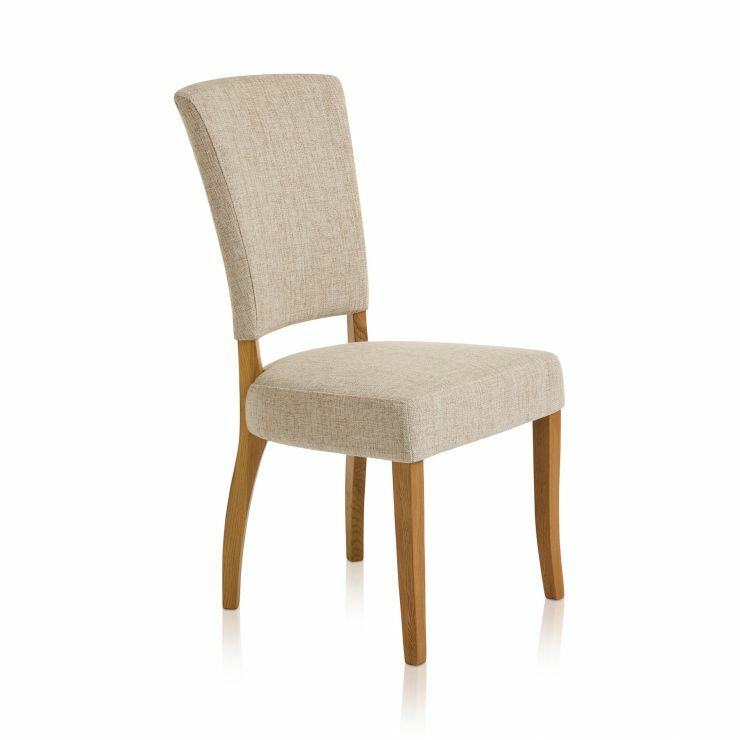 This dining chair boasts a modern silhouette with beautiful fabric upholstery. 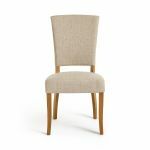 The plain beige fabric perfectly offsets the slim solid oak legs, which match our dining room furniture collections. 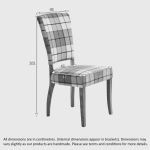 Gently flared at the back, they have a subtle curve, which is accentuated by the rounded fabric seat back which is designed with comfort at the forefront. The legs also playfully lift the seat back off from the pad, creating airiness and lightness in the piece. 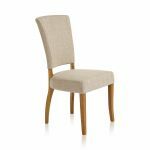 Available in a great selection of colours, check out all our Upholstered Curve Back Dining Chair styles today, all with free delivery to your dining room as standard!